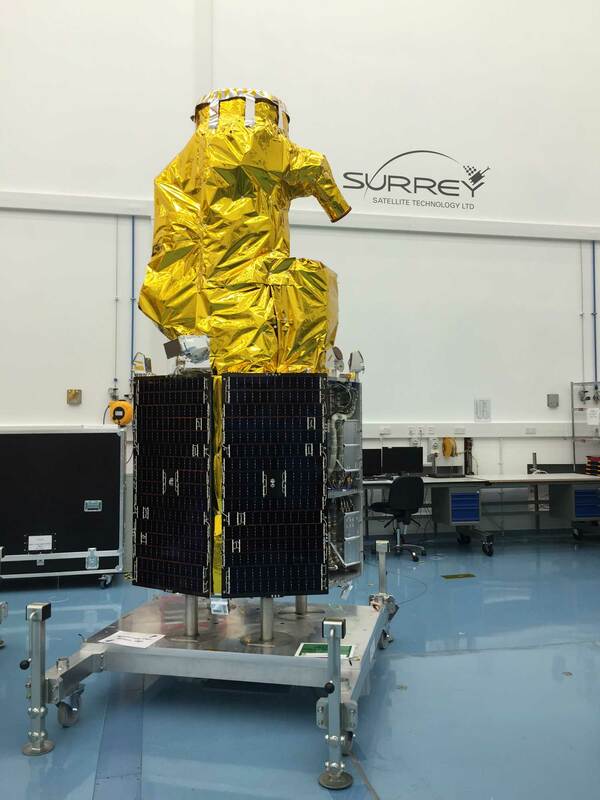 The Polar Satellite Launch Vehicle (PSLV), in its thirtieth flight (PSLV-C28), launches three identical DMC3 optical earth observation satellites built by Surrey Satellite Technology Limited (SSTL), United Kingdom (UK). 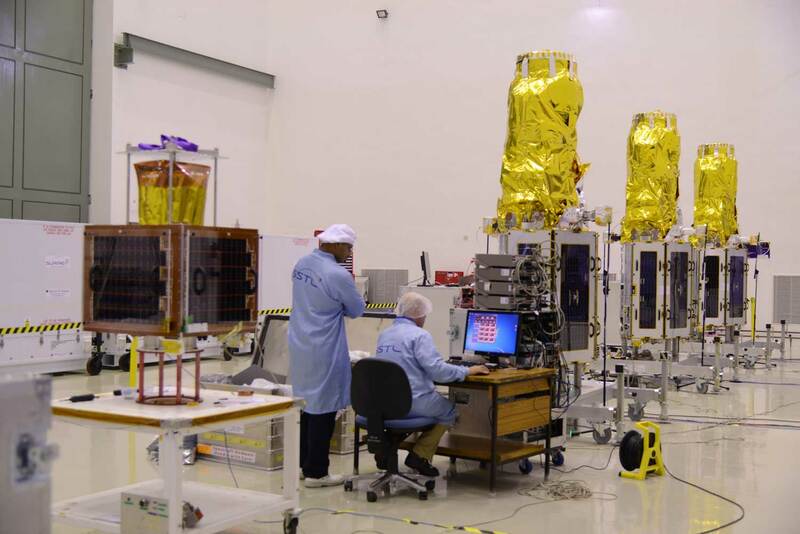 The three DMC3 satellites, each weighing 447 kg, launched into a 647 km Sun-Synchronous Orbit (SSO) using the high-end version of PSLV (PSLV-XL) from Satish Dhawan Space Centre, Sriharikota (SDSC-SHAR), the spaceport of India. 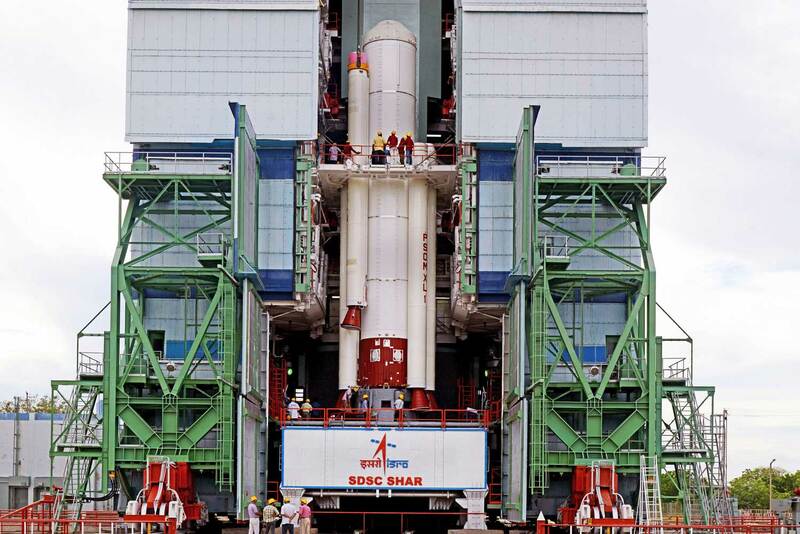 PSLV-C28, the ninth flight of PSLV in ‘XL’ configuration. 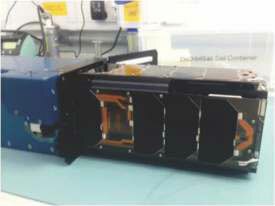 The PSLV-C28, in addition to the three DMC3 satellites, also carried two auxiliary satellites from UK, viz., CBNT-1, a technology demonstrator earth observation micro satellite built by SSTL, and De-OrbitSail, a technology demonstrator nanosatellite built by Surrey Space Centre. 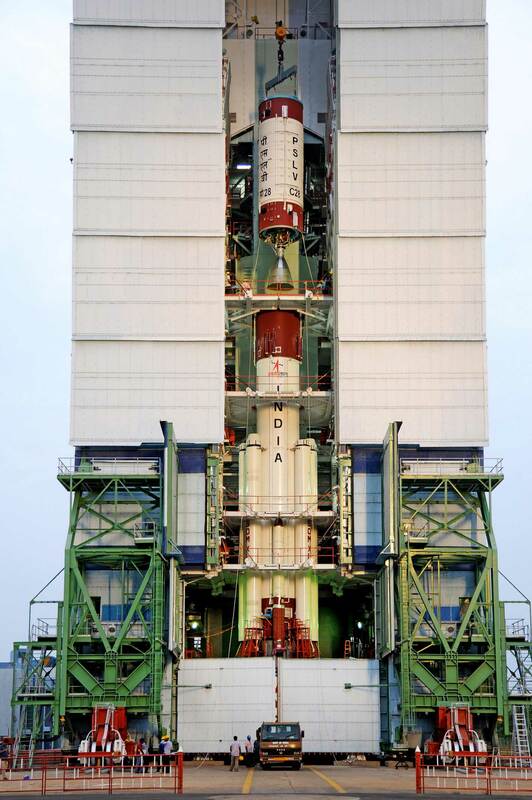 With the overall lift-off mass of the five satellites amounting to about 1440 kg, this mission becomes the heaviest commercial mission ever undertaken by Antrix/ISRO. Accommodating the three DMC3 satellites each with a height of about 3 metre within the existing payload fairing of PSLV was a challenge. 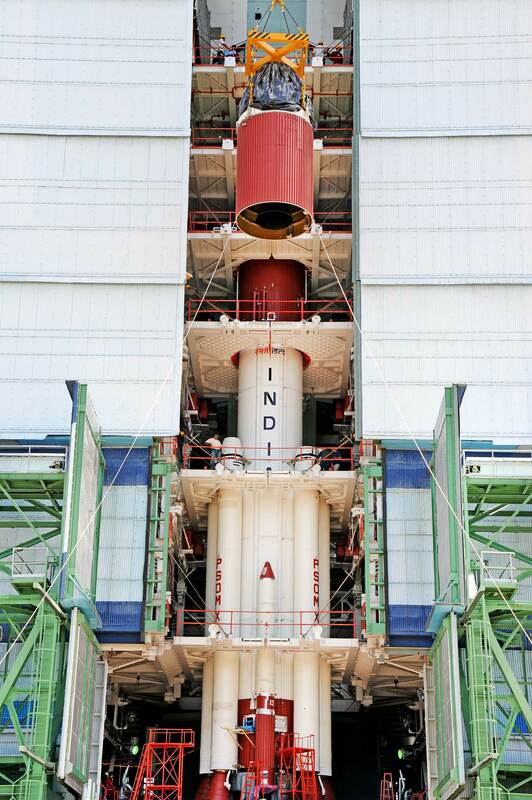 To mount these satellites onto the launcher, a circular Launcher adaptor called as L-adaptor and a triangular deck called Multiple Satellite Adapter-Version 2 (MSA-V2), were newly designed and realized by ISRO for this specific purpose. 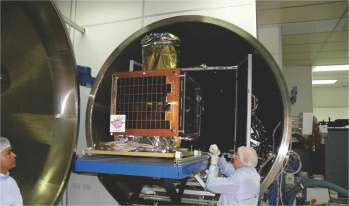 These international customer satellites were being launched as part of the arrangement entered into between DMC International Imaging (DMCii), a wholly owned subsidiary of SSTL, UK; and Antrix Corporation Limited (Antrix), the commercial arm of Indian Space Research Organisation (ISRO), a Government of India Company under Department of Space.